Back in the day before google introduced Google product listing ads, knowledge graphs and all this other crap like answers to questions so you dont even need to click on a result, there were plenty of studies that showed being in position one for a google search would get you a certain % of Clicks. A 2013 study on CTR's. 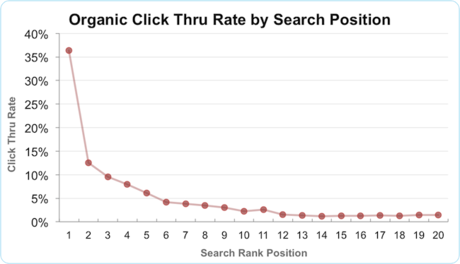 Is there any data at all on Amazon listings CTR's in relation to search position? Even an estimate? Why Im asking is if the difference is similar to google where the top 1-3 basically take all the traffic, should I focus on getting one KW into the top position, or getting a bunch on the first page? Anyone seen any studies on this? I've pondered on this data many times and never had an answer either. It would be killer, but I'm clueless.